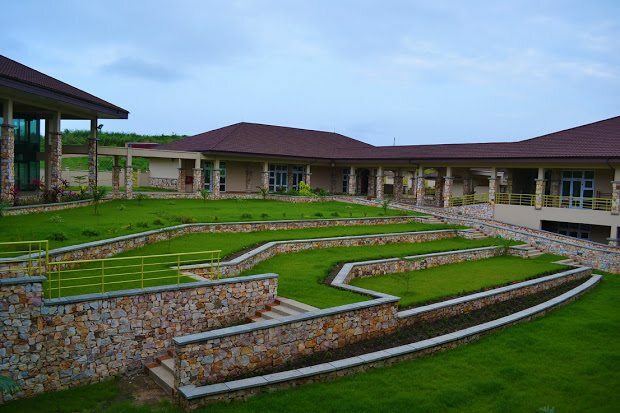 Ashesi University College is a private, secular, not-for-profit university located at Berekuso within the Eastern Region of Ghana. Founded in 2002, Ashesi’s curriculum combines liberal arts core courses with majors in Computer Science and Business Management; currently, work is steadily progressing to commence undergraduate engineering programmes in 2015. Consequently, a clear and vibrant community engagement culture has over the years been created at Ashesi; students go beyond the Service Learning requirement to initiate and run many projects in our host community of Berekuso and other parts of Ghana. Examples include the popular “Adesua ye” (Learning is Good) Programme which brings local folks to Ashesi’s campus twice a week for literacy and numeracy lessons; students volunteering to teach Math and ICT classes in the local public basic school; and students who run an after-school reading and mentorship programme for children. Many other students are involved in education, technology, youth development and sanitation programmes across the country. These Community Engagement projects are generally run by individual Ashesi students or student groups and clubs. The university coordinates and guides these projects through the Office of Student and Community Affairs. Community Engagement is an integral component of Ashesi’s mission and Ashesi is always eager to share its experience and learn from the experience of others.